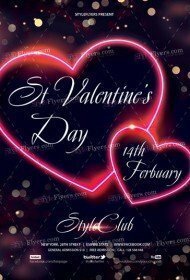 The most romantic day deserve its own category on our website. 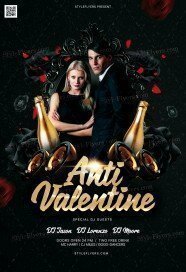 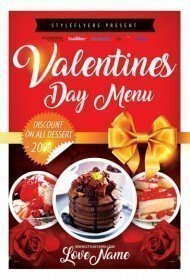 We collect all premium Valentine’s day flyers templates in this listing to simplify your search and save your time. 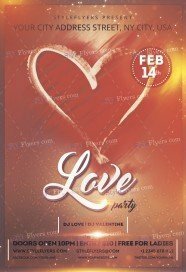 If you want to organize a special and romantic event, don’t hesitate to buy Valentine’s day flyer PSD templates they perfectly convey a love and romance of this event. 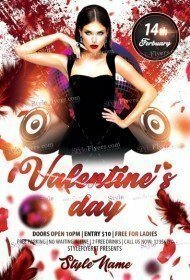 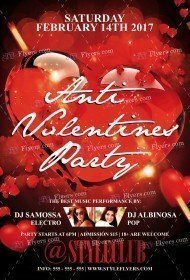 Red background, hearts and flowers will attract many eyes to your flyer. 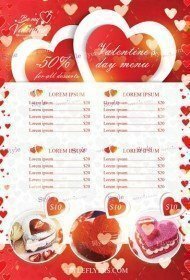 If you don’t like a traditional design, don’t worry, we know that some people need something more creative so we created many extraordinary samples. 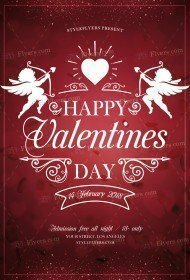 Here you can find many vintage, minimalism and other styles. 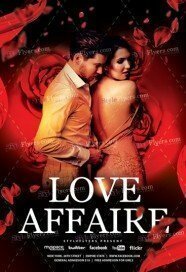 Choose printable Photoshop files for your liking, then buy Valentine’s day flyer template and publish it . 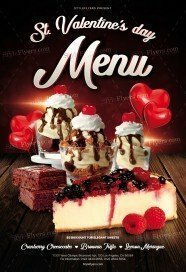 Of course, you need to remember that all models aren’t for sale, so be ready to add your own. We can help you with customization, if you want to. 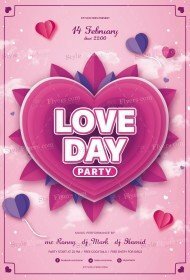 Our designers always ready to provide you with high quality assistance. 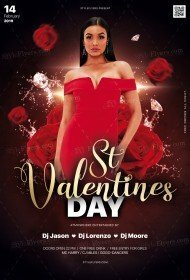 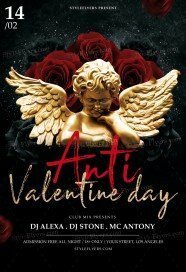 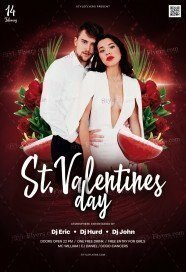 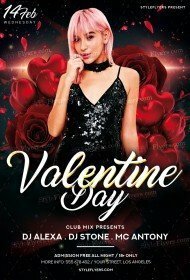 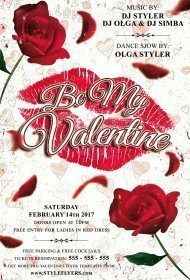 Buy our premium Valentine’s day flyers and their Facebook cover and create a romantic ambience at you nightclub, café, restaurant or any other place. 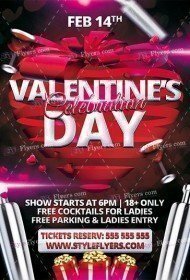 Our flyers are suitable for any type of place. 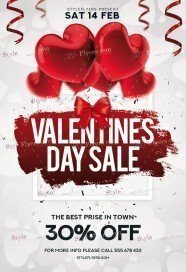 They also have a fully-layered and well-organized structure, we are sure that you will appreciate this moment of our online promotion.